Who doesn't like eyecandy. 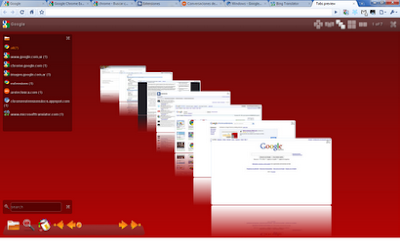 Here is a nice 3D tab preview generating extension for Google Chrome. 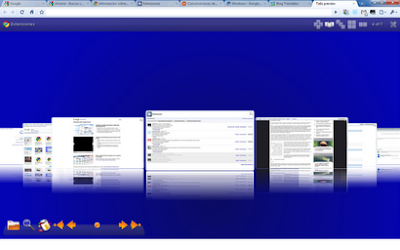 You can browse through your tabs using a simple mouse scroll and it definitely looks beautiful. Picture speaks more than words and the screenshots above makes it more than clear to you(I hope). Preview modes: stack, grid, row, flow, carousel. Movement with arrows and mouse wheel. Download TabsPreview Extension for Google Chrome.